Egypt’s Foreign Minister Sameh Shoukry has flown to Israel, on Saturday, to discuss the resumption of the stalled peace talks between Israel and Palestine. Unofficially, Shoukry may also discuss Egypt’s concerns about the recent visit of Israeli PM Benjamin Netanyahu to African countries. The Egyptian Foreign Ministry reports that Shoukry will meet Israeli officials including Israel’s Prime Minister Benjamin Netanyahu. 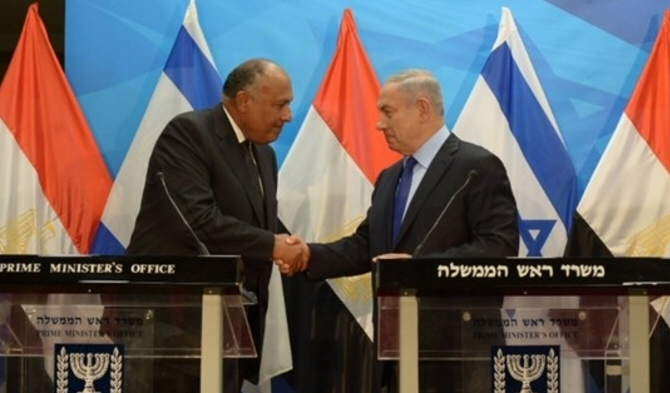 The Ministry announced that Shoukry and his Israeli counterparts will be discussing “regional issues of mutual concern”. Peace talks between Israel and Palestine were suspended after Palestinian Authority (PA) President Mahmoud Abbas announced the formation of a Palestinian Unity Government composed of Al-Fateh and Hamas in 2014. In the light of a Palestinian government that includes Hamas, Israel rejected further talks and rejected to accept a Unity Government. Ironically, Israel has, at the very least in its beginning, financed Hamas in order to weaken secular PLO member parties. The unity government has since run into problems and the Hamas and Al-Fateh rivalry continues. On May 17, Egypt’s President called for the resumption of the stalled peace talks. His calls were welcomed by the Palestinian Authority and came within the context of the preparations for the international conference on Palestine and Israel in Paris, France. Shoukry may also discuss another “regional issue of mutual concern”. Israeli Prime Minister Benjamin Netanyahu’s recent Africa tour prompted concerns among Egyptian analysts and scholars who noted that Israel’s outreach to Nile Basin States could complicate negotiations about water rights and the Grand Ethiopian Renaissance Dam. The National Office to Defend the Land and Resist Settlement warned on Saturday of Israel’s ongoing attempts to boost illegal settlement using the Middle East Quartet as a shield. The National Office to Defend the Land slammed in its weekly report the latest Israeli decisions to prop up illegal settlements, saying such measures amount to an outspoken breach of international legitimacy. “The Quartet report paid no heed to international laws and treaties and gave Israel a green light to hold sway over Palestinian lands,” the report read. Recently, the Israeli Prime Minister Benjamin Netanyahu said his government will do every possible effort to boost illegal settlement building across the occupied West Bank and gave instructions to provide settlers with needed security funds. A similar position was voiced by Israel’s war minister Avigdor Lieberman who called for massacring anti-occupation activists. The minister further announced the launch of a new scheme to build 42 housing units in the illegal Kiryat Arba settlement. 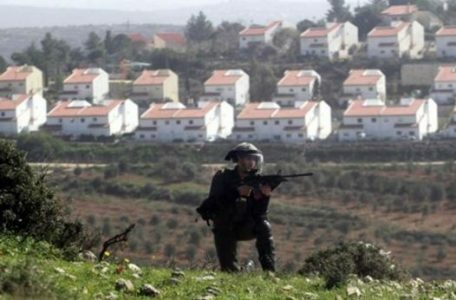 According to the National Office to Defend the Land, Israel approved the construction of some 800 settlement units in Occupied East Jerusalem and its environs, along with 560 housing units in the Maale Adumin settlement and 140 units in Ramot. 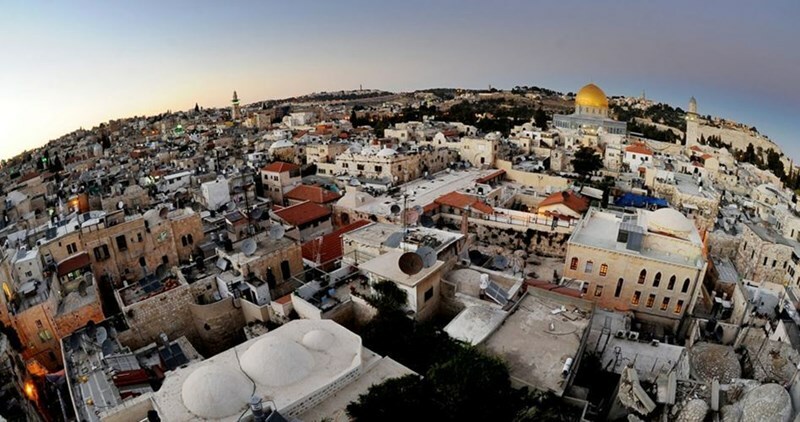 A few days earlier, a request to transfer 41.5 million shekels was submitted by the Israeli Finance Ministry to the Knesset Finance Committee as part of Israeli intents to double the sum already allocated for protecting Jewish settlers in East Occupied Jerusalem. 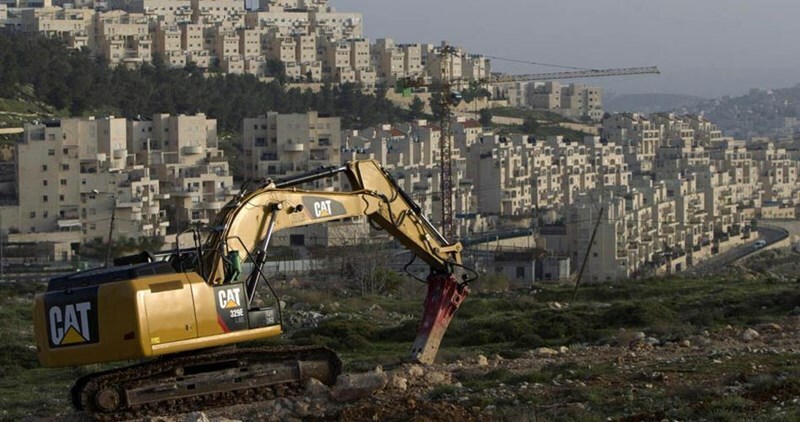 The Israeli Channel 7 also said 50 million shekels were allotted by the occupation government to improve infrastructure and security for residents of the illegal Kiryat Arba settlement, in the southern occupied West Bank. 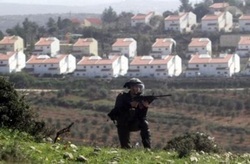 Israeli “Peace Now” organization Saturday revealed that the Israeli Occupation Authority is going to announce construction plans to establish 169 new settlement units east of Occupied Jerusalem in the coming few days. The National Office for the defense of land and resistance of settlement affirmed that the endorsement of the construction plans for 800 new settlement units in east Jerusalem has been announced. 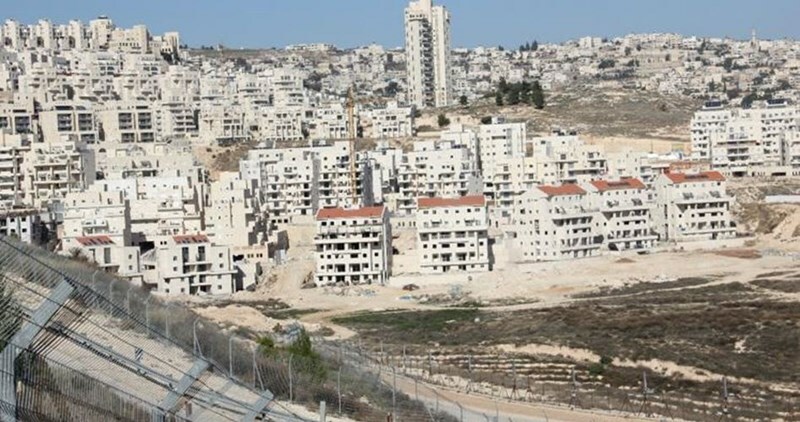 Another 560 houses will be built as well in Maale Adomim settlement near Occupied Jerusalem, 140 other units in Ramout settlement, and 100 others in Har Homa and Pisgat Ze'ev settlements, the office pointed out. 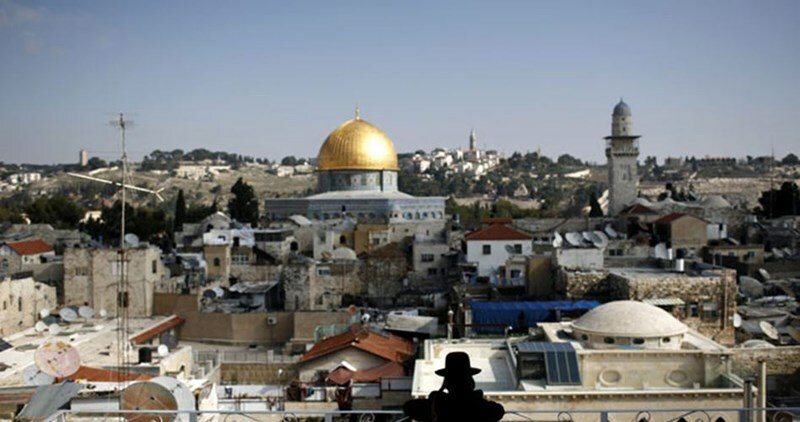 Israeli ministry of finance had earlier asked the financial committee in the Israeli Knesset to transfer 14.5 million shekels to enhance the security of settlers and settlements east of the holy city. The Jordanian government expressed on Friday its utmost rejection to the Israeli government’s settlement policies and repetitive decisions to build and expand illegal settlements in the occupied West Bank, according to Jordan's news agency, Petra. The Jordanian government’s spokesperson, Mohammad al-Momani, dubbed such Israeli policies an assault on the Palestinian territories and the rights of the Palestinian people. He described the Israeli settlement policies as an obstacle before efforts exerted toward peace, maintaining that such policies dissipate hopes to achieve peace in the region. The Jordanian official reiterated the call for the international community, particularly the U.S. and peace-brokering countries, to take a firm stance against the Israeli government’s settlement expansion policies in the occupied Palestinian territories. 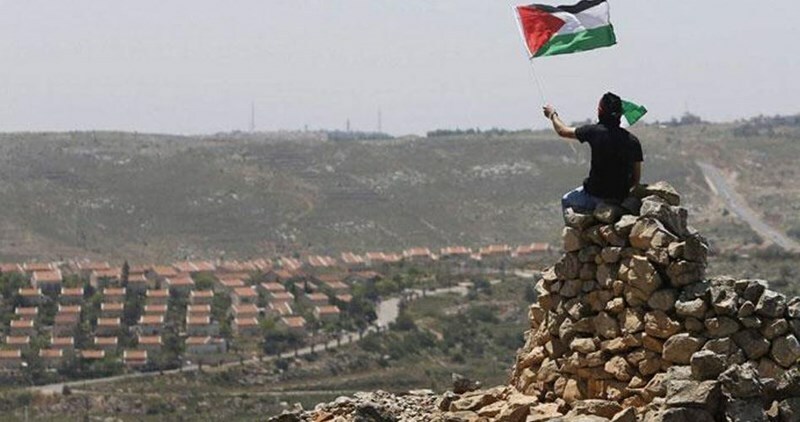 Iranian Foreign Ministry has sharply condemned Israel’s decision to construct more illegal settler units in the occupied Palestinian lands, saying the regime’s expansionist policies make a mockery of international law. On Thursday, Iranian Foreign Ministry spokesman Bahram Qassemi said that Israel’s decision to expand its illegal settlements is against international regulations and United Nations resolutions. 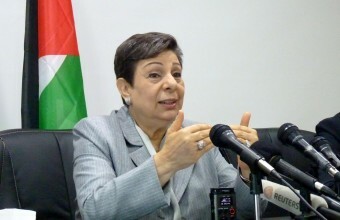 He further emphasized the need for an immediate end to Israel’s unlawful construction activities in the occupied territories, calling on international bodies to help reduce the sufferings of the oppressed Palestinian nation. Last week, Israeli Prime Minister Benjamin Netanyahu and the minister of military affairs, Avigdor Lieberman, approved plans to construct 800 new housing units for settlers in and around the occupied Jerusalem. According to Israeli media, Netanyahu issued directives during a cabinet meeting on Sunday to his ministers to work together on finding ways to boost building in the settlements in the West Bank and Jerusalem. He said the cabinet would discuss in the coming meeting a plan to promote settlement construction in Kiryat Arba, east of al-Khalil. Israeli Prime Minister Benjamin Netanyahu rejected American and European ‘condemnations’ of a new plan to build hundreds of colonialist units, in illegal Israeli colonies in the occupied West Bank, including Jerusalem. Meanwhile, the United States said that the reports of the Israeli plan to build hundreds of new settlements’ units in the West Bank and Jerusalem are “troubling,” and place more obstacles in the efforts to resume direction peace talks between Israel and the Palestinians. On Tuesday, the European Union called on Tel Aviv to void its plan to build more than 800 units, in illegal Israeli colonies in the West Bank and Jerusalem and described the move as a new threat to the two-state solution. Israel’s colonies in the occupied West Bank, including in and around East Jerusalem, are illegal under International Law, and the Fourth Geneva Convention to which Israel is a signatory. The Egyptian Foreign Ministry on Wednesday called on Israeli authorities to cancel the new declared settlement projects in occupied Jerusalem and West Bank. In a press statement issued Wednesday, the Egyptian Foreign Ministry expressed deep concern over the Israeli new settlement projects, calling on Israeli authorities to cancel the plan. Such plans kill any chance for peace between the Israelis and Palestinians, the statement said. In a related context, Israeli premier Benjamin Netanyahu stated that his government would make special efforts to intensify settlement construction in the West Bank and Jerusalem. According to the Israeli media, Netanyahu issued directives during a cabinet meeting on Sunday to his ministers to work together on finding ways to boost building in the settlements in the West Bank and Jerusalem. 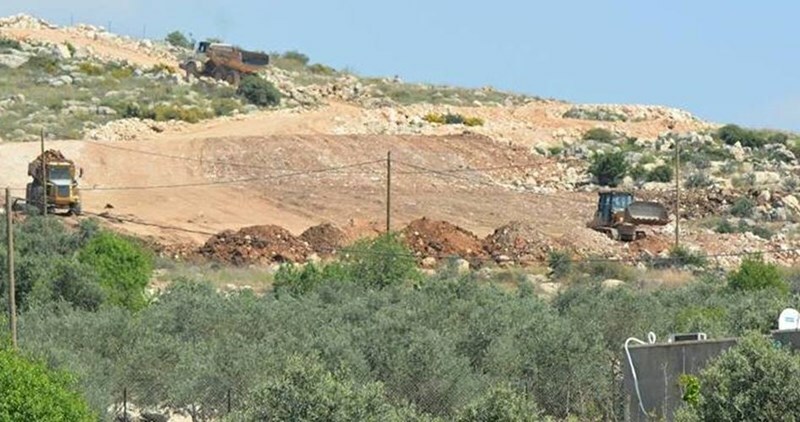 Israeli Occupation Authorities (IOA) will be transferring 50 million NIS in an “aid program for Jewish settlers’ steadfastness in Kiryat Arba” illegally built in al-Khalil area south of occupied West Bank. According to Channel 7 television, the Kiryat Arba plan was submitted by Agriculture Minister Uri Ariel of the Jewish Home party. “From the start of Zionism it has been clear that the Arab terror is beaten through settlement activities alongside security activities, that’s how it is around Gaza, that’s how it is on the northern border, and that’s also how it is the Hebron Hills region,” Ariel said, according to the sources. Earlier last week, Israeli premier Benjamin Netanyahu stated that his government would make special efforts to intensify settlement construction in the West Bank and Jerusalem. The move will likely raise new hackles in the international community, including the US, which already this week harshly condemned an Israeli plan for some 800 new homes in occupied Jerusalem and the West Bank.